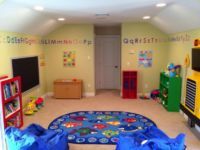 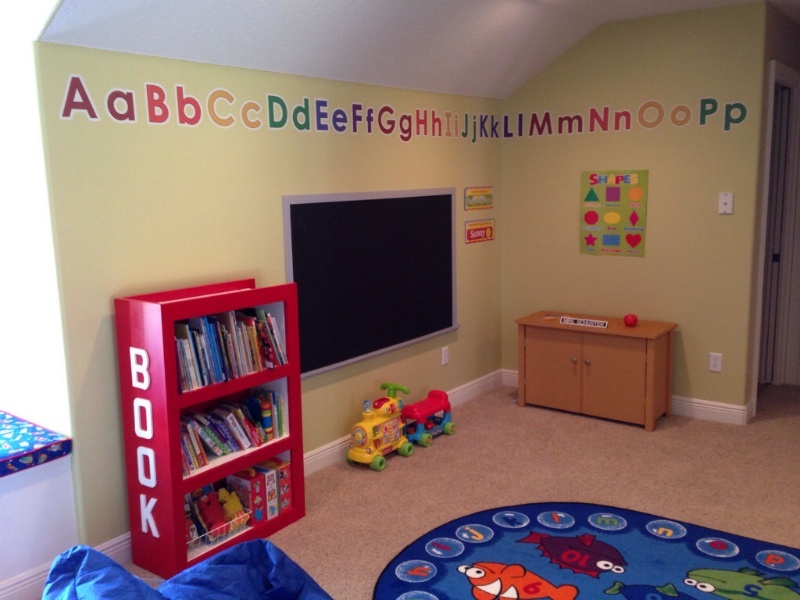 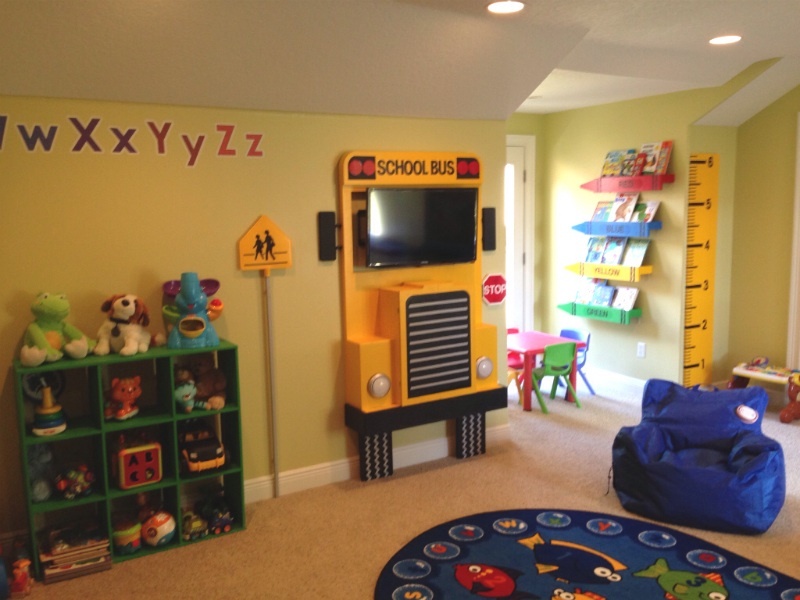 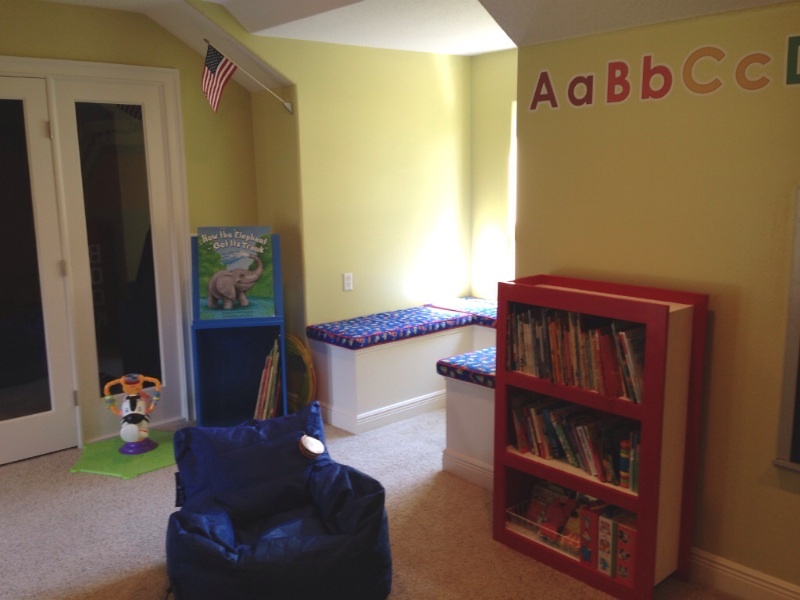 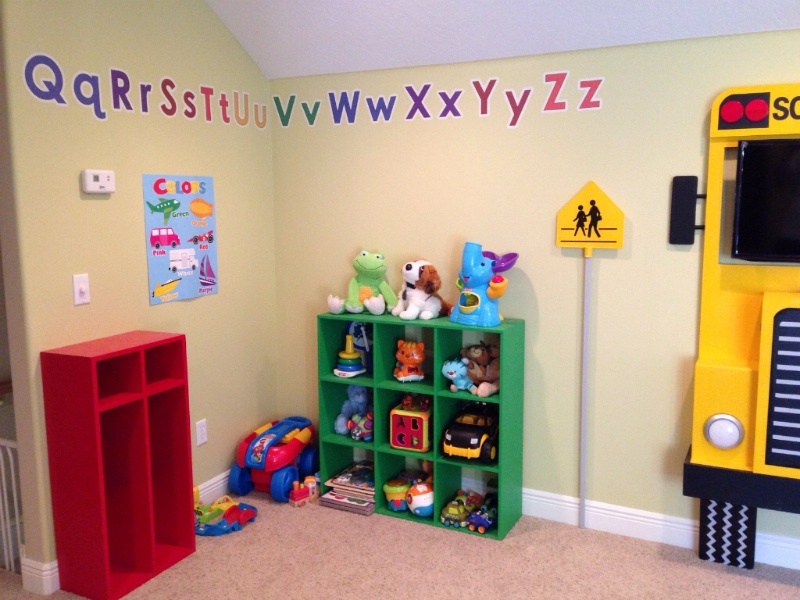 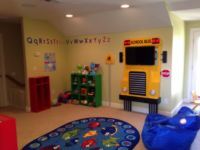 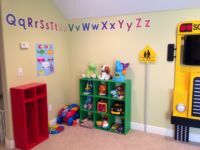 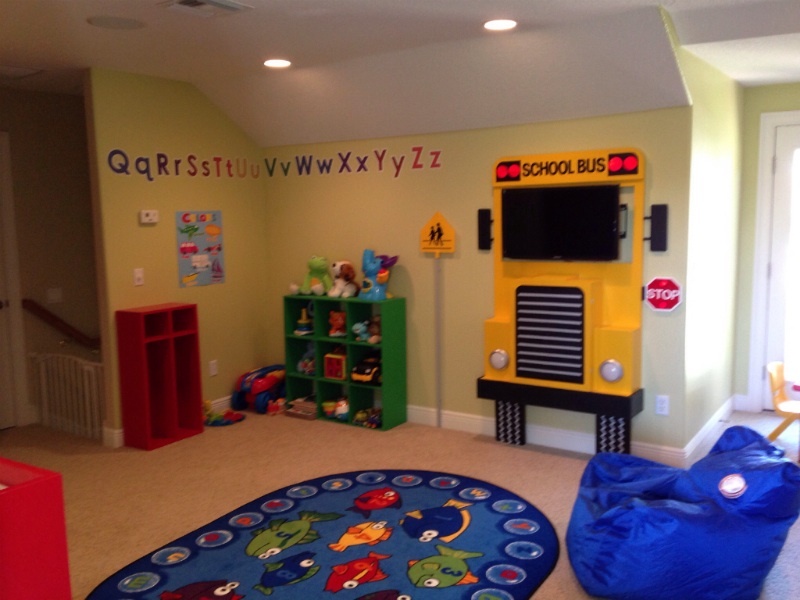 This fun kids playroom has a classroom theme and is a divided into four areas. 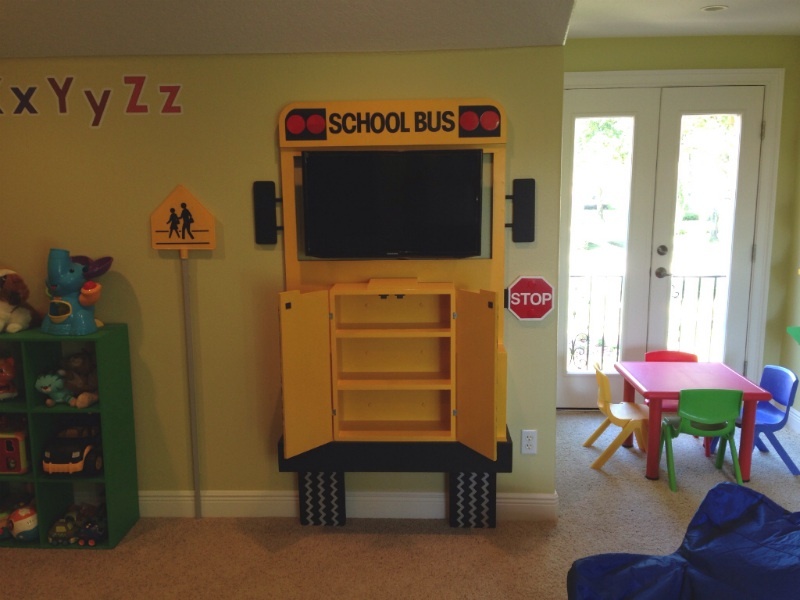 A school bus with working headlights is the focal point in the entertainment area. the television acts as a windshield and the grill opens up to store DVDs. 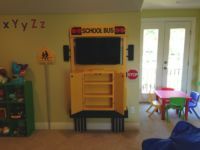 Beside the school bus is a school crossing sign. 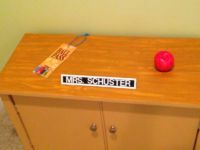 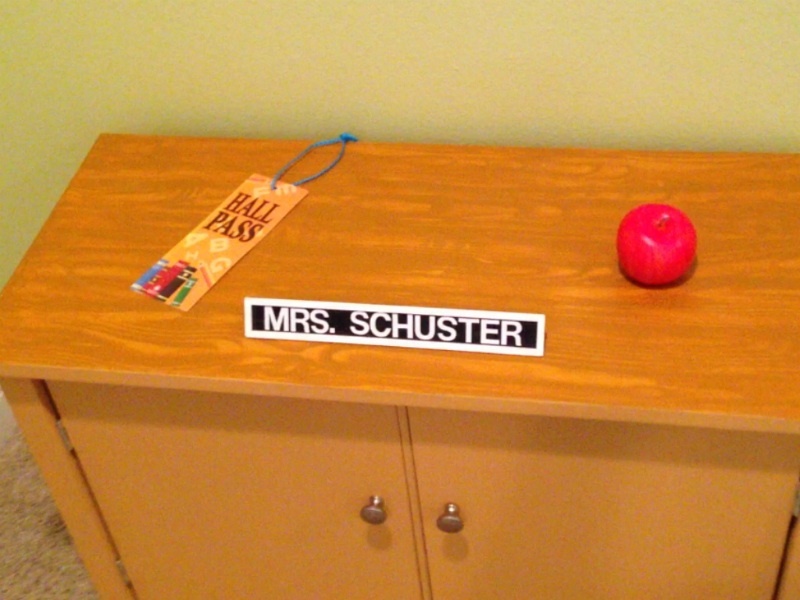 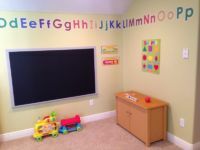 A teachers desk toy chest with a personalized name plate and a paint on chalk board make up the learning area. 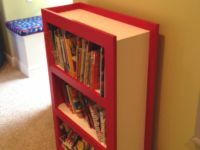 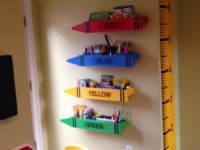 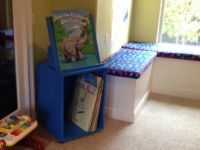 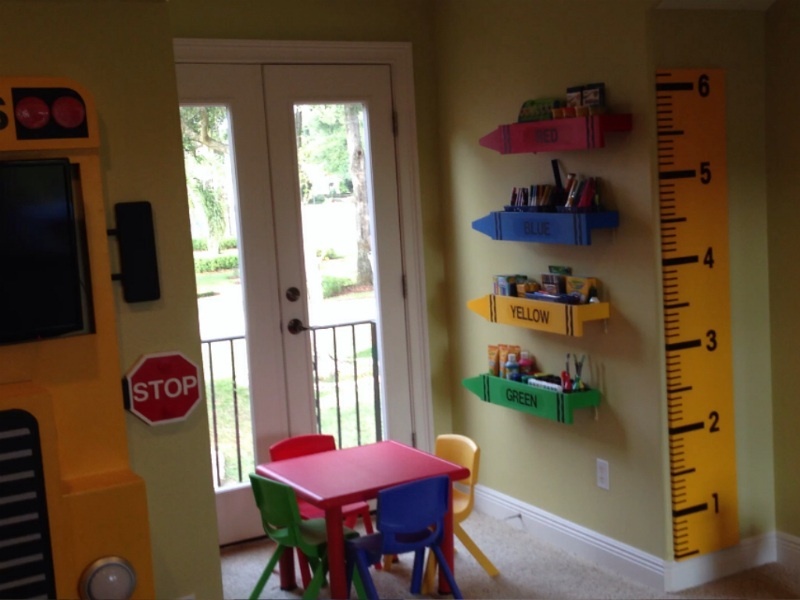 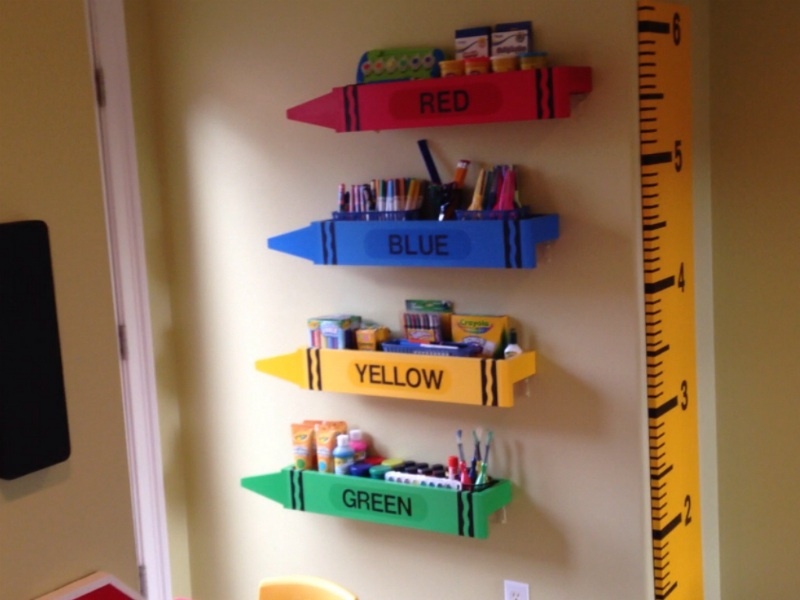 The arts and crafts corner has four custom crayon shelves for supplies and a kids table with chairs. 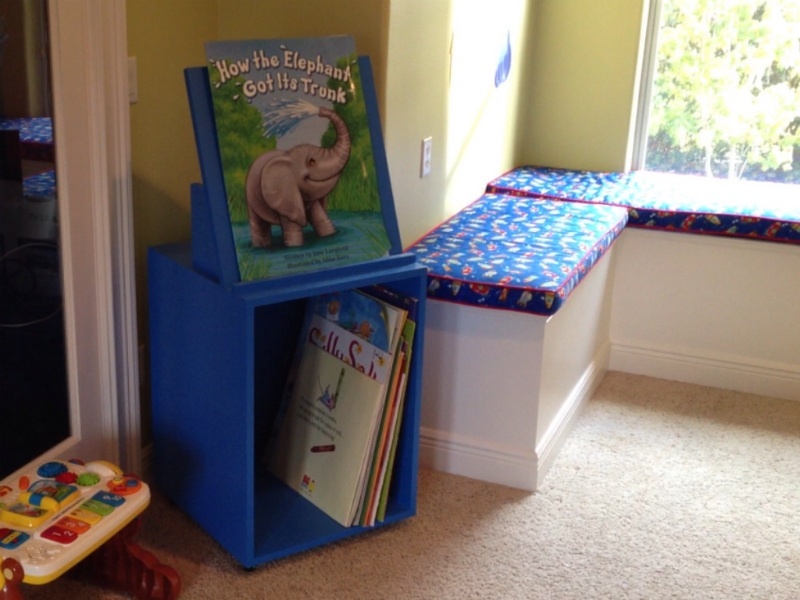 The reading area has a book shelf that resembles a giant book and a stand/cart for large class books. 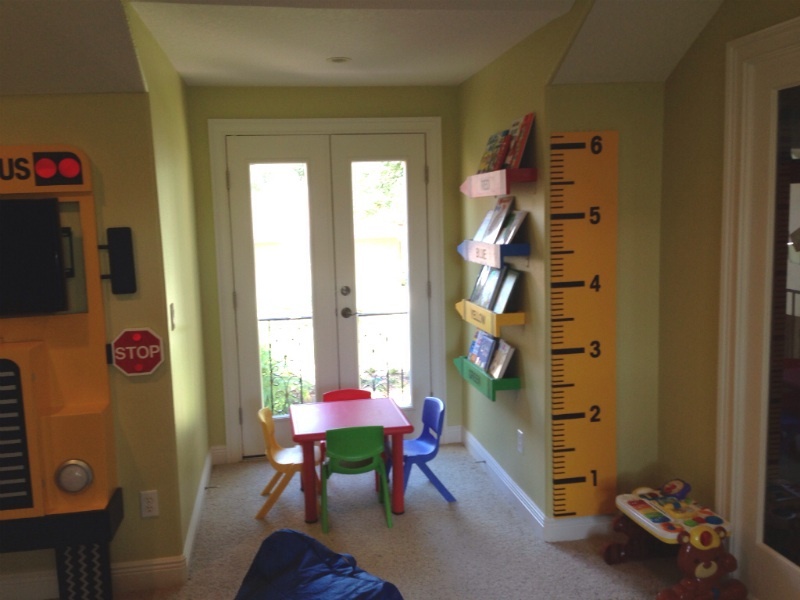 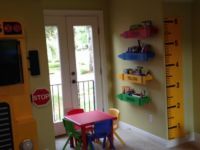 A giant ruler for measuring kids height, cubbie, classroom rug, classroom flag and ABC wall stickers complete the room. 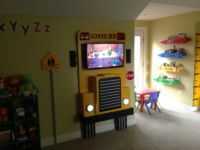 Enjoy the pictures and video below.